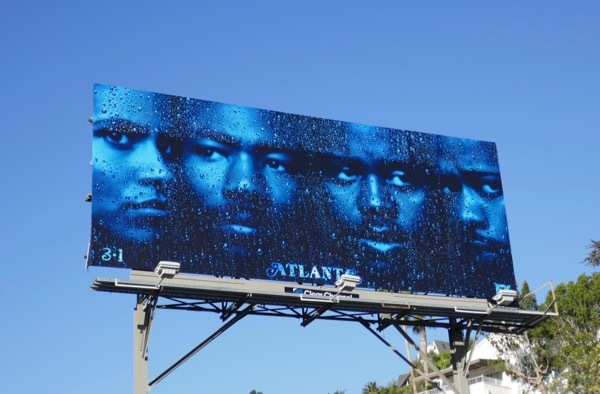 Donald Glover may have been off playing in a galaxy far, far away as a young 'Lando Calrissian' in the Star Wars Han Solo prequel movie, but the creator, writer, director and star of FX's Atlanta is finally back for a second season. Entitled 'Robbin' Season', referring to the time during the festive holiday season when crimes increase exponentially when people often have packages stolen off their front steps and things are more desperate and tense, the sophomore season will focus on how the characters transition from their old lives to coping with money and fame, continuing to follow Glover's Princeton dropout 'Earnest "Earn" Marks' and his aspiring rapper cousin 'Alfred "Paper Boi" Miles' (Brian Tyree Henry) as they navigate the city's music scene. 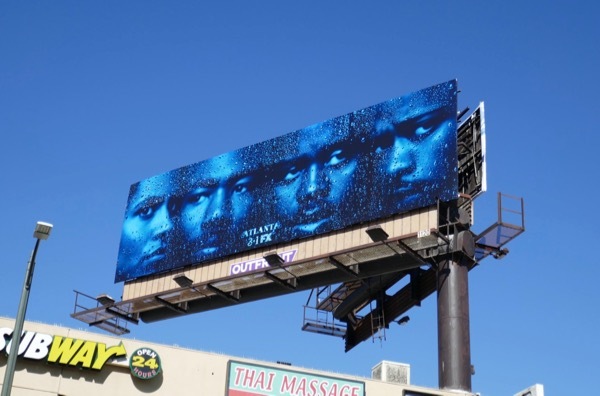 These season two billboards also featuring Zazie Beetz and Lakeith Stanfield were snapped along the Sunset Strip, Hollywood Boulevard and Pico Boulevard from February 3 to February 8, 2018. 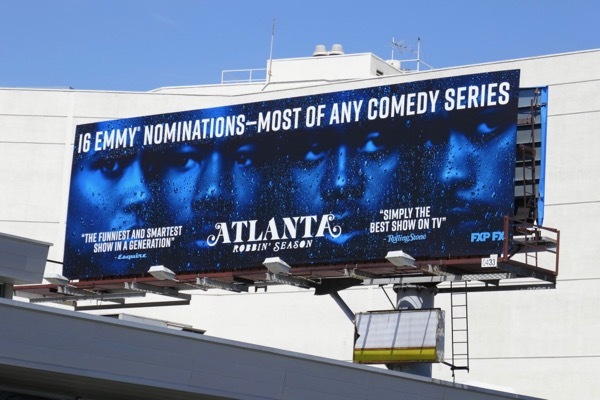 Plus fans of the FX show can also enjoy these Atlanta season one billboards. 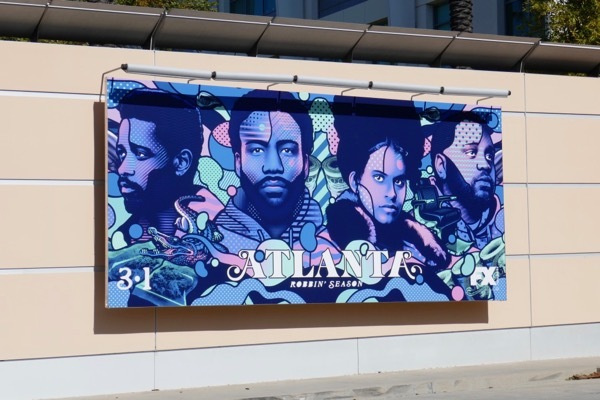 After winning two Golden Globes and two Emmys, let's see if Atlanta can continue to create exciting fresh television viewing and comedy gold with its all-new episodes. 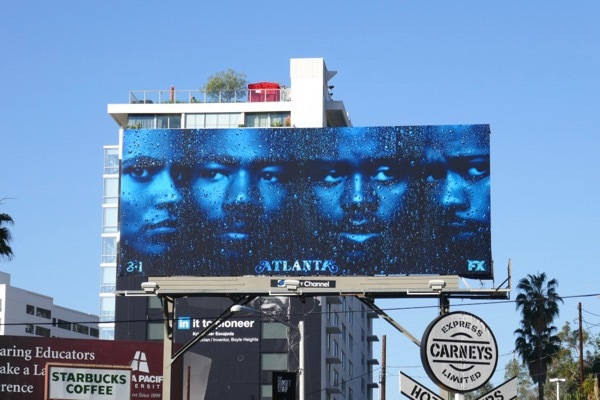 UPDATED: Here are also two additional arty and colourful ad creatives for the sophomore Robbin' Season spotted at Fox Studios along Pico Boulevard on February 25, 2018. 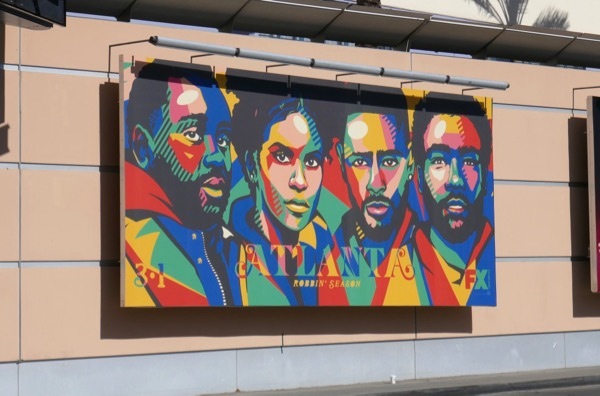 UPDATED: The first season of Atlanta won two Emmys and two Golden Globes, but can the sophomore season repeat this success? 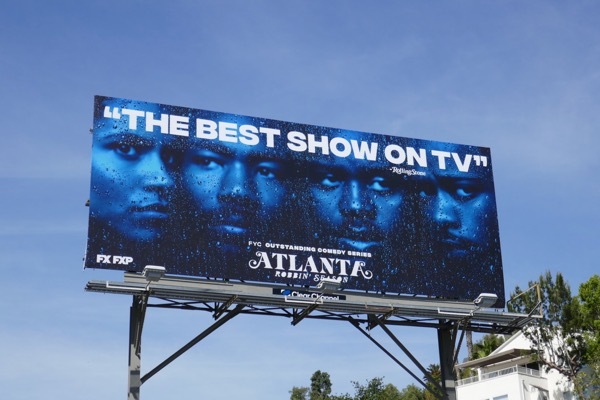 Here's an Emmy consideration billboard for the show snapped along the Sunset Strip on April 10, 2018. 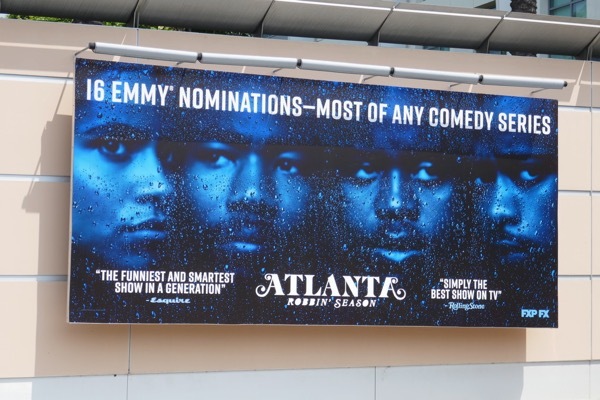 UPDATED: Congratulations to Atlanta for garnering a whopping sixteen Emmy nominations for its Robbin' Season. 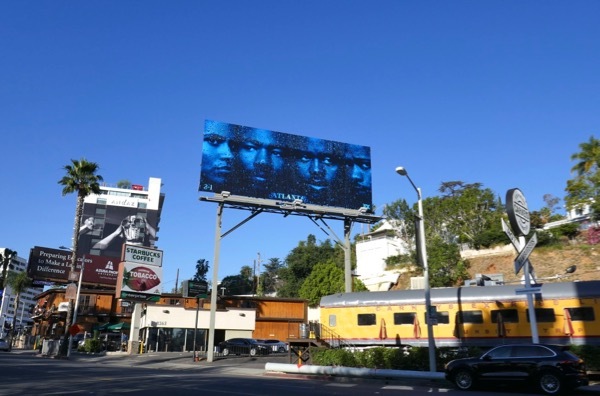 This awards campaign billboard for the Emmy-nominated show was spotted above Pico Boulevard on July 24, 2018. 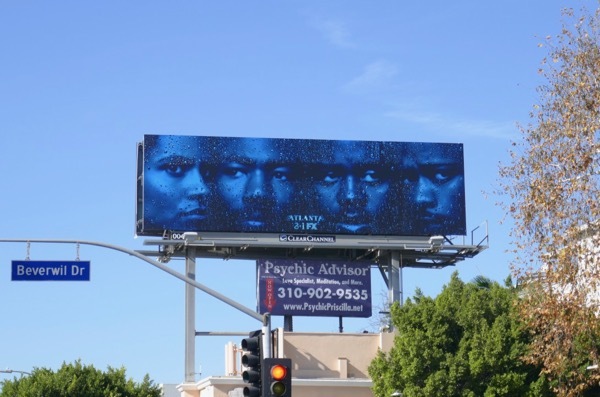 And here's another smaller example snapped at L.A.'s Fox Studios along Pico Boulevard on July 28, 2018.